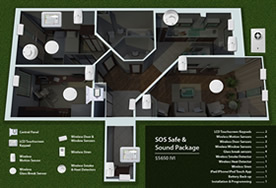 How much is safety and security worth - for your home and your family? The truth is, you could never put a price on it. Having peace of mind and assurance for the protection of the people and possessions that matter most to you is truly invaluable. So why waste money on a system that doesn't keep you safe? Most security system companies in Costa Rica offer a one-size-fits-all package that doesn't meet the unique needs of any home at all. You get a couple sensors and one fixed interface that is clumsily installed on a wall in your home. But how does this system ensure your security? If a break-in occurred, you would only be notified after the criminal was successful. And he would have a few minutes head-start before any armed response or even the police ever arrived! You may assume these system are less expensive than the customizable, advanced solutions from Signal Secure. But you will be amazed at how that low monthly fee adds up quickly - making you pay over a thousand dollars MORE over several years, with NO ownership to show for it! A Signal Secure specialist will work with you to design and tailor-fit a fully integrated system to meet your personal wants and needs. Our company has created a self-sufficient and user-friendly security and home automation system that you can completely control! You don't have to pay endless recurring fees, and you don't have to rely on a 3rd party to intervene on your behalf. Stop renting an inferior system! 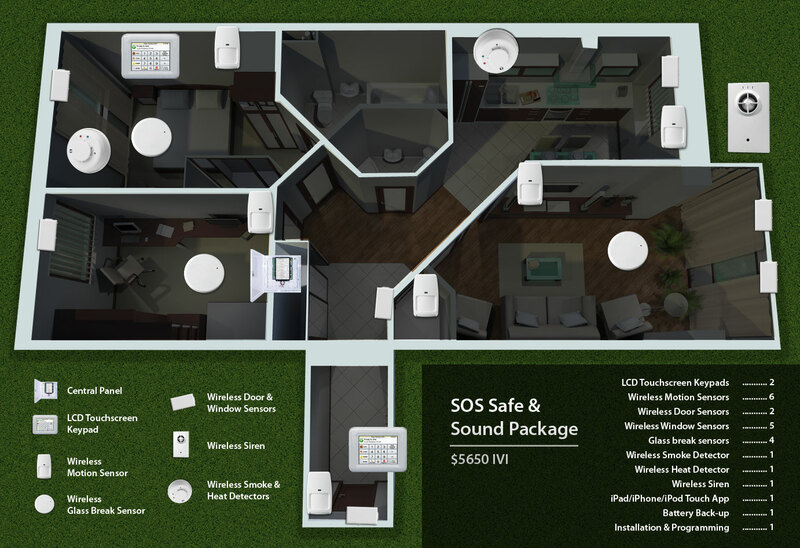 Signal Secure gives you full ownership of your state-of-the-art security and home automation system. A Signal Secure system is a huge selling point for any home! This is an incredible future investment in your property. Transform your home from the shoddy installation of a low-grade system to a true digital and impenetrable fortress! Unlike other systems that only alert you after a break-in attempt has already occurred, Signal Secure will keep criminals away from your home. This is both a safety AND financial investment! Your home insurance premiums may even be lowered when you own our Intelligent Security systems. When other security companies leave a mess behind, it's not just an annoyance for you.... it can even be an added expense and time commitment! Exposed wires, holes in the walls, and drywall dust on the floor doesn't just take care of itself. Signal Secure guarantees that our professional, responsible technicians will leave your home as beautiful as it was when they arrived - only now it will be protected! It is never more economical to purchase items a la carte! If you rent a conventional security system, you will have to buy all your other systems separately and deal with too many controllers and remotes. But Signal Secure offers Smart Home Integration that you can manage from one universal device. Control your video surveillance cameras, blinds, Smart Glass, child's nightlight, sprinkler system, and kitchen appliances all from your Smartphone! Go green! You can program your Signal Secure system to conserve energy, which is not only kind to the Earth, but also saves you money every month on your utility bill. Set your sprinklers to only go on when the soil and climate conditions are right, automate indoor/outdoor lights, manage your window shades, and regulate the temperature in your home. Water leaks, gas leaks, glass breaks... there are a lot of things that can go wrong in any home that will be costly to repair. The good news is, Signal Secure provides smart detectors that will alert you BEFORE the damage occurs - saving you time, money, and a great deal of frustration! Your life is not confined to your home, so your security system shouldn't be either! Signal Secure gives you remote control over your entire integrated system - no matter where you are! With just a few clicks from your phone, PC, tablet, etc, you can manage your home from anywhere in the world. Now there's no reason to hire a butler while you're away! Need help in the middle of the night? We're there for you, with a professional, courteous Support Staff! You can trust our team to help you manage your system and swiftly take care of any issues you may have. A Better Value, a Smarter Investment! Purchasing a home security system from Signal Secure is a small price to pay for the protection and safety of you and your loved ones. With Signal Secure, you can protect your family, increase your home's worth, and save money with a fully integrated and advanced home security system. Give us a call today, and let’s start building and designing the most technologically advanced home security in Costa Rica!